When it comes to milestones, baby taking those first steps is a biggie – and once they start taking them, there’s no stopping them! Come see our top picks for dressing your little one’s feet while they’re mastering toddling. You’re never too young for your first pair of work boots! 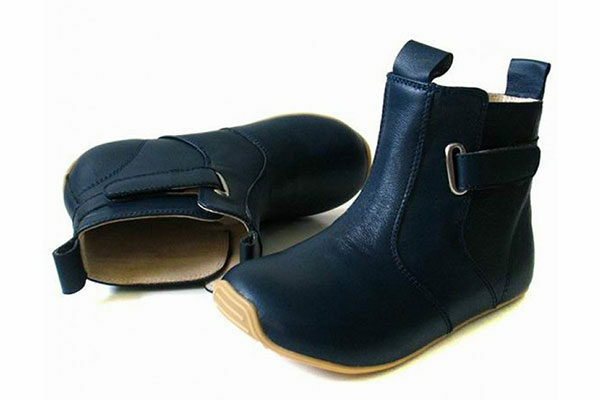 The unisex Aussie Work Bootie ($45, pictured top) is made from tan coloured leather and has a soft suede sole. You’ll them at Little Wild Child. Fancy some laces? The Oxford Bootie, $39.95, is for you! You’ll them at Little Wild Child. Bobux’s signature boot, the Jodphur Boot has received a brilliant blingy makeover, which we adore! 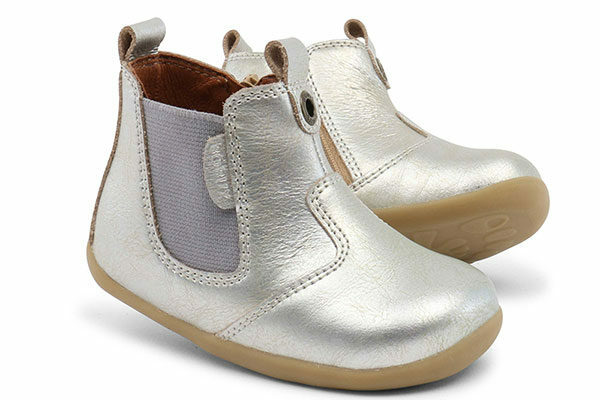 In true Bobux style, the solid sole is amazingly flexible, perfect for confident first walkers. Jodphur Molten Gold Boots are priced $75 a pair, available from Bobux. If there were awards for the cutest first walkers, surely Donsje would take first place. 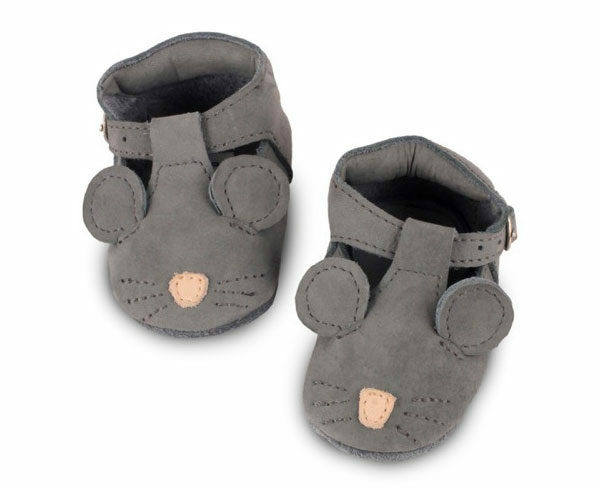 Donsje Spark Mouse shoes are available in sizes to fit children aged from 12 months to two years. 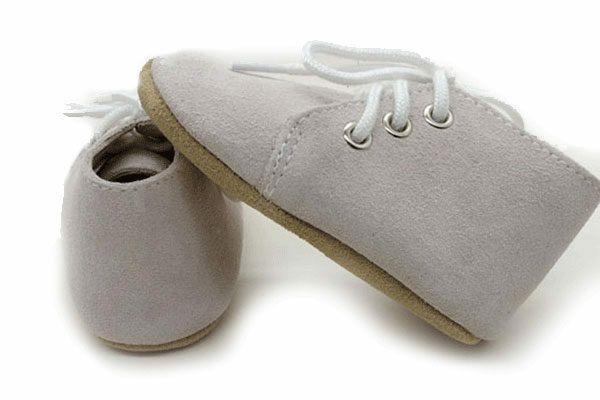 An adorable investment at $79 a pair, these are available from Hush Little Baby. 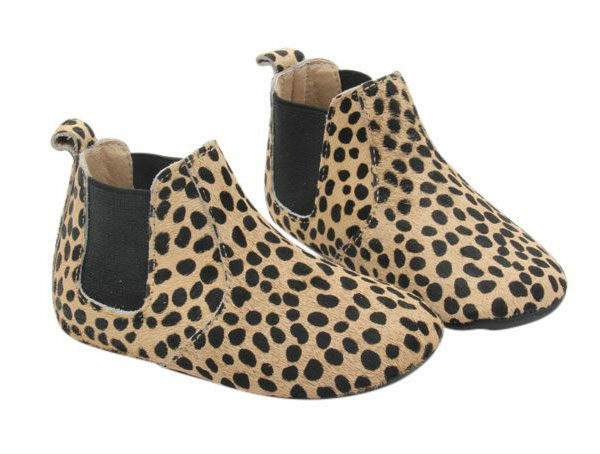 Put some real pounce in those first steps with the ever-so-glam Liberty Leopard Mo-Hair Bootiemocc from Fawn and Finch, priced from $39.95. For little lads and little ladies, the European styled Cambridge Boot, $59.95, promises to keep feet and ankles warm all winter long. Find this boot and many other first walker styles at Skeanie. 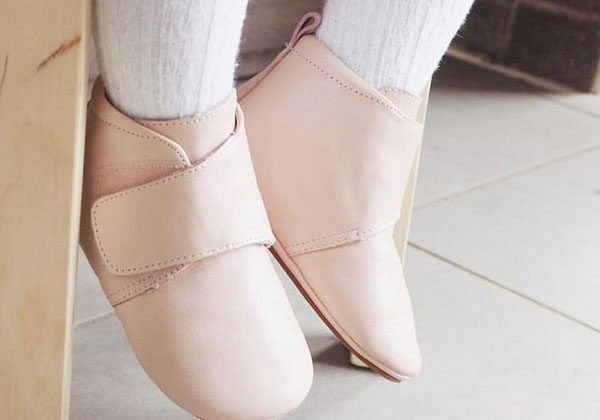 Ma Mer is home to baby ballet shoes, Oxford shoes and Jasper boots (on sale, $20, pictured above) all in gorgeous colours and for the smallest of feet.